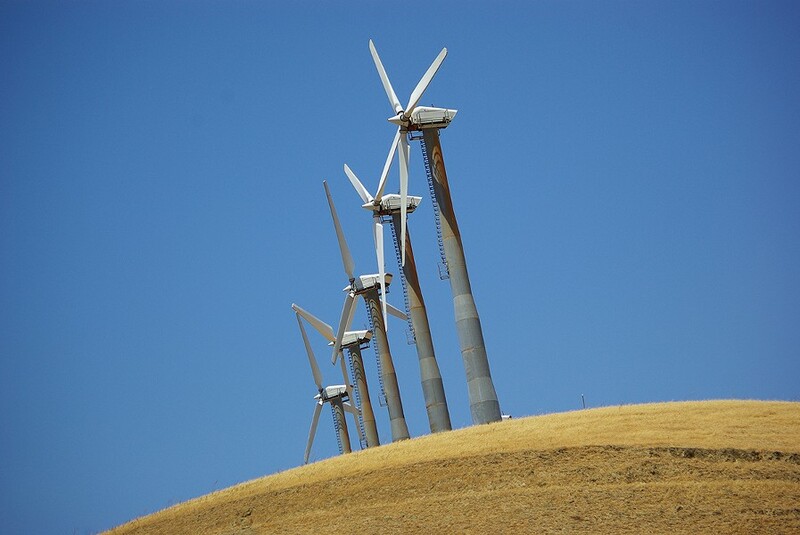 Wikimedia Commons The Altamont Pass is one obvious place to expand local green-energy production. In the mid-2000s, Oakland, Berkeley, and Emeryville explored, but ultimately abandoned, an effort to jointly establish a public energy authority that would focus on providing green, local energy while at the same time cutting utility rates for consumers. The East Bay Municipal Utility District considered the same idea in 2012, but also backed away. Now, however, the County of Alameda has picked up the torch, and if all goes smoothly, by 2017 households and businesses from Fremont in the south, to Livermore in the east, and Berkeley in the north could be served by a public energy authority whose main mission will be reducing energy costs while building out a local green economy. Approved in 2002 by the California Legislature, community choice aggregation (CCA) allows local governments to purchase energy directly from producers, and to distribute it to customers at no extra charge through the existing investor-owned utility infrastructure. The author of the law, Paul Fenn of Local Power, Inc., an energy consulting firm, intended for aggregation to be used by local governments to not only lower customers' bills, but to also rapidly green and localize the energy supply through a combination of efficiency upgrades and new technologies, and through the construction of local renewable energy resources, such as solar and wind power facilities. So far, however, only Marin County and Sonoma County have successfully launched aggregation programs in the Bay Area. Other jurisdictions, including San Francisco, have run up against fierce opposition from PG&E, which sees the program as a threat to its profits. Some unions have also worried that CCAs could undermine job security for their members who work for PG&E and other utilities in the state. Even so, both Marin and Sonoma's programs have been judged successes. Sonoma Clean Power already serves 90 percent of Sonoma County's electrical customers, and is delivering energy that is between 6 and 9 percent cheaper than PG&E's rates. Sonoma Clean Power is also planning an aggressive build-out of local clean energy projects. In February, the North Bay public energy agency announced plans to build a 12.5 megawatt floating solar facility on irrigation water storage ponds. The project will be the biggest floating solar power station in the United States, enough to power 3,000 homes. "Both Marin and Sonoma counties, among others in the state, have demonstrated that they can offer cleaner, greener energy services at competitive, and currently cheaper rates, while supporting local jobs and their local economies," said Alameda County Supervisor Scott Haggerty, who is championing the local program. "We hope to make a greater impact than even those existing CCAs in the state have done thus far." "Advocates have really been the drivers for this," said Bruce Jensen of the Alameda County Planning Department, referring to the multitude of activists who have been organizing for more than a decade to establish CCA in the East Bay (see "When Will We Go Green?" 5/30/2012). Jensen is leading the technical side of the county's CCA effort. "I think it's completely feasible here," he added. "Everywhere it's been tried it's worked very well, and in terms of economics, it's been an easy way to generate money in the local economy as well as reducing greenhouse gas emissions and reducing costs for consumers." Last week, the Alameda County Board of Supervisors created a steering committee that will study the technical feasibility of CCA for the region. The steering committee's 25 members — recruited from labor unions, community organizations, environmental groups, and public agencies — includes EBMUD board member Andy Katz. Katz previously pushed for EBMUD to lead the East Bay in establishing a regional CCA program, but other members of the water agency's board were nervous about expanding into the energy arena and trying to coordinate with other jurisdictions. "This is no longer just a minor exploration like the cities and EBMUD have done," said Katz. "Alameda County residents in the long term will own their renewable energy, and this will create local union jobs," said Katz. Leaders in Oakland are already lining up to support Alameda County's effort. Councilmembers Dan Kalb, Rebecca Kaplan, and Desley Brooks have introduced a resolution urging the county to establish a CCA in order to "create fair-wage, clean energy unionized jobs," in the region. Oakland's leaders see the program as a way to address the city's high unemployment rate while greening the energy supply. Brooks told the Express she expects the full council to unanimously approve the resolution. Advocates say that by putting electricity purchases under public control, Oakland will be able to build in-city renewable energy projects that will boost the local economy. According to Clean Energy & Jobs Oakland, a coalition of community organizations, unions, and environmental groups, including the San Francisco Chapter of the Sierra Club, the East Bay Alliance for a Sustainable Economy, and the International Longshore and Warehouse Union Local 6, an East Bay CCA could generate upwards of $865 million in revenues that can be reinvested locally in efficiency upgrades or new clean energy projects. The program could also create as many as 2,400 full-time jobs. And on the environmental front, an East Bay CCA could cut greenhouse gas emissions due to electricity generation by 6.3 million tons by 2025, roughly the same as if 475,000 cars were taken off East Bay roads. So where would the local renewable energy facilities be built? 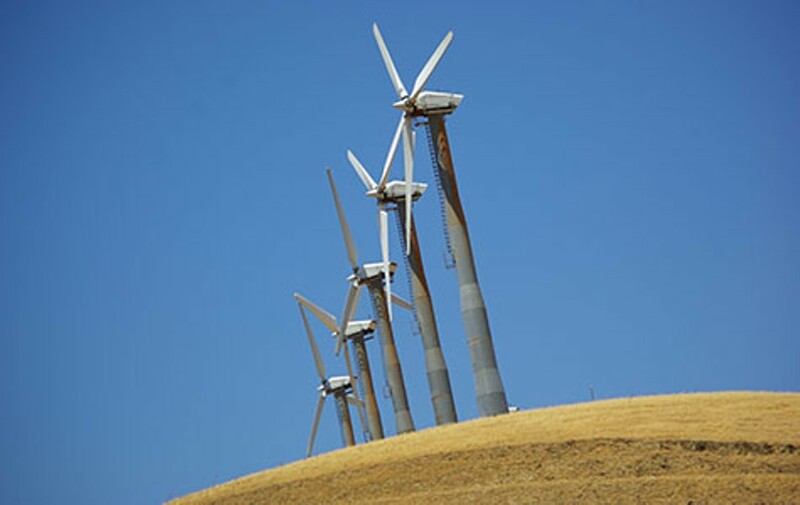 One obvious location is the eastern hills of Alameda County where high sustained winds have made wind farms practical for decades. In addition, the county's fourteen cities have vast acres of rooftops, reservoirs, parking lots, and other sunny, unused areas on top of which solar arrays can be installed. And already several gas turbine projects generate cleaner electricity by capturing and burning methane gas that emits from decomposing landfill waste. If the Alameda County clean energy steering committee decides in favor of establishing a public energy authority, it probably won't be alone. Santa Clara and San Mateo counties have both been exploring the same idea for several years now. By 2025, then, most of the Bay Area could be running off local green power that sustains thousands of good jobs.